Sitemap | Hargrove Fence Co. The Highlands Neighborhood Association appreciates all Hargrove Construction has contributed to the revitalization of the Highlands Neighborhood. Many residents lack proper nutrition and opportunity for healthy activities. Thanks to the volunteer time Jim Hargrove & Hargrove Construction regularly donate to the Highlands Community Garden Project, low income individuals and families can plant their own garden spots and enjoy fresh, healthy produce. We’ve called upon Jim several times and he always comes through, donating time and personal resources. He asks nothing in return and seems to enjoy making life a little better for others. Jim and his team put up a black chain link fence around my 1.4 acre home. This is a family owned business that goes the extra mile to make happen any type of fencing you want. I needed my new yard fenced in for my 6 dogs. Jim is very knowledgeable and will help you figure out what will work and what you don’t need to spend money on. Jim measured my property, marked off where the poles would be set, marked off the 2 gates I wanted, his team (which is lead by his wife) dug post holes poured cement and set the poles. They let that set for three days and came back to set the chain link and the dog bottoms. My fence is beautiful. Jim and his wife have came back twice to check the fence by walking it and to put on pole caps. Top notch company. We called needing a fence with extremely short notice! Hargrove Fence came through beautifully! They started in less than a week and had it complete the day before we moved in! Our Family loves it and the dogs do even more! Thank you so much for rearranging your schedule for us, we are forever grateful!! Mr. Hargrove came to the residence and measured out the dimensions of the project. Within the next 3 days the work was done. The posts for the fencing were solidly placed in concrete. The next day the chain link fence was installed. It was top notch work. What was so impressive was that the work site was always left very neat. The site was tidy at the end of each work day. When the job was completed the only remnant of them being there was the completed project. There was definitely pride taken in the work that was done. And it was done correctly the first time. Jim and his team installed a 931’ chain link fence and an arched iron gate around our 2-acre home. We obtained several bids before making our decision. Jim was prompt in response to our initial request, provided excellent communication through completion, his crew was great to work with and he is a genuine small business owner that wants to do right by his customers. We couldn’t be happier with our choice to go with Hargrove Fence Co. I went out for quotes and they gave me the best price. I contracted for a 10 foot gate and a regular gate. After starting the work they suggested I change my requirements to three regular gates instead of one regular gate and one 10 foot gate. They made the change at no additional cost and I have been very pleased with the change. We also use Angie's List to assess whether we're doing a good job keeping valued customers like you happy. 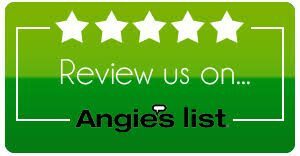 Please visit us on Angie's List in order to grade our quality of work and customer service! with fair prices, a professional attitude, and an excellent quality of work since 2007.